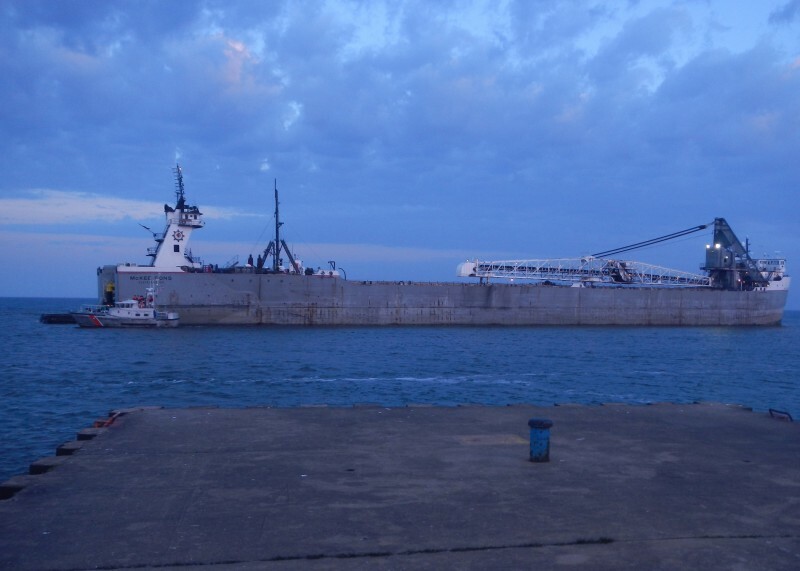 The integrated tug Invincible and barge McKee Sons went aground on Lake Michigan just outside the breakwall at Manistee, Michigan. The vessel suffered damaged to its a shaft and suffered water ingress into the engine room. The vessel requested assistance and was supplied de-watering pumps by the Coast Guard. The vessel was later freed by tugs and proceeded to Sturgeon Bay where a diver will conduct an inspection. There were no reported injuries, but there was small amount of oil pollution released. Reports state the navigation channel has not been dredged since 2010 and silting most likely led to the grounding. The Coast Guard is conducting an investigation into the incident.